Gibbons abandoned his original employment with a Wolverhampton nail factory, to join the Calder O'Berne Opera Company. 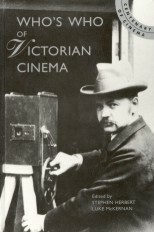 Following a career as a music hall singer he acquired an Urban Bioscope projector and, in 1898, launched the Anglo-American Bio-Tableaux, a variety film show that initally concentrated on news subjects. In 1900 he produced the Phono-Bio-Tableaux, a series of films synchronised to phonograph cylinders that presented famous music hall artists such as Vesta Tilley, Lil Hawthorne, Alec Hurley and G.H. Chirgwin. The Lil Hawthorne film survives. Gibbons experimented with artificial lighting and, in 1901, was reported to have a London studio and plant capable of processing and despatching a film in sixty-five minutes. He is also reported to have sent cameramen out to film the later stages of the Boer war, including C. Rider Noble. 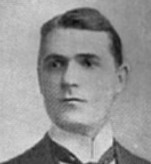 On the death of his father-in-law, G. Adney Payne, he succeeded to the directorship of the London Syndicate Halls, subsequently opening the Palladium as flagship of his music hall empire in 1910. Gibbons severed his connection with the Palladium in 1912, but, in 1928, returned as managing director of the General Theatres Corporation which initiated a programme of cine-variety at the theatre. Within a few months a board-room wrangle led to his resignation. His considerable fortune was dissipated on other theatrical projects, leading to bankruptcy shortly before his death.